Yup, you can get life in prison in California for a joint. Such is the insanity of California's "three strikes" law - a sentencing guideline based on a sports metaphor. According to the Drug Policy Forum of California, which has presented this handy California voter's guide, "under current law, offenders with two strikes (i.e. serious or violent felonies) automatically receive a 25-year-to-life sentence for any third felony, including non-serious, non-violent marijuana and drug offenses. Numerous prisoners have received "Three Strikes" sentences for marijuana crimes, such as smoking a joint in prison. Prop. 36 would require that the third strike be serious or violent, thereby excluding drug offenses." Other marijuana crimes that can get 2-strikers life in prison: possessing hash, possession with intent to sell (presence of cash and phone), and cultivation of any amount of pot. 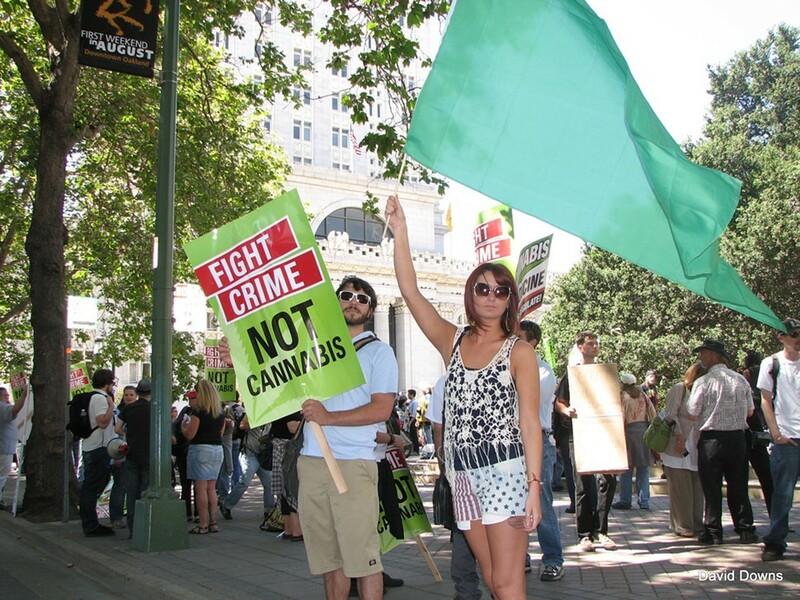 Fight crime, not cannabis - Vote. According to new poll numbers, Californians overwhelmingly want their precious tax dollars spent on crumbling schools, not on citizens doing life in a cage for a bag of weed. Register online to vote in California right now, right here. Then cast a protest vote for Gary Johnson (Obama's gonna win California anyway), and support other national, state, and local politicians, as well as ballot initiatives defending medical marijuana, and fighting to end wasteful drug policies that don't work. Read the guide here. While you're at it, read all of the East Bay Express' Election 2012 coverage.